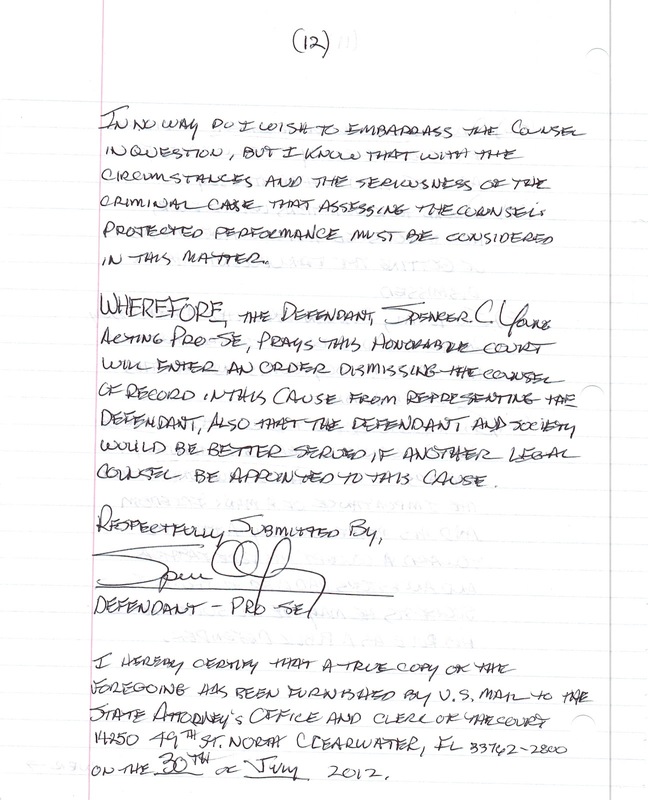 As Spencer C. Young was effectively denied legal representation, he filed numerous motions in the 6th Circuit Court of Pinellas County (FL) on his own behalf (i.e., "pro se") in an unwavering effort to secure freedom from his UNLAWFUL arrest and incarceration in MAXIMUM SECURITY JAIL on an entirely FABRICATED charge, after being subjected to FIVE episodes of GRAND LARCENY perpetrated by a profoundly corrupt and unethical North Carolina Judge (David Q. LaBarre) and LaBarre's girlfriend (Leah R. Krier). 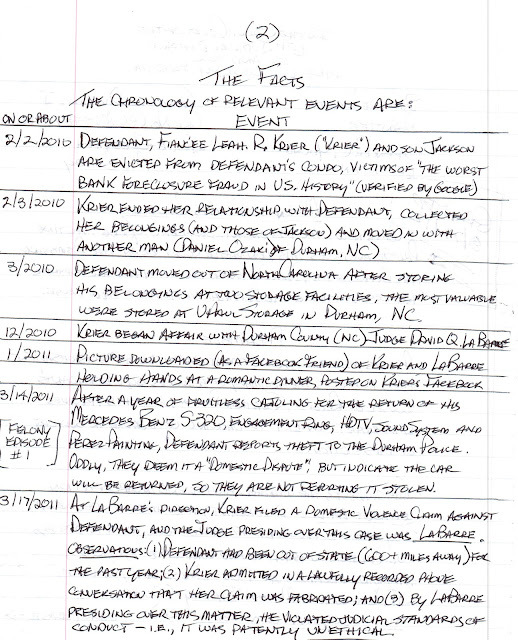 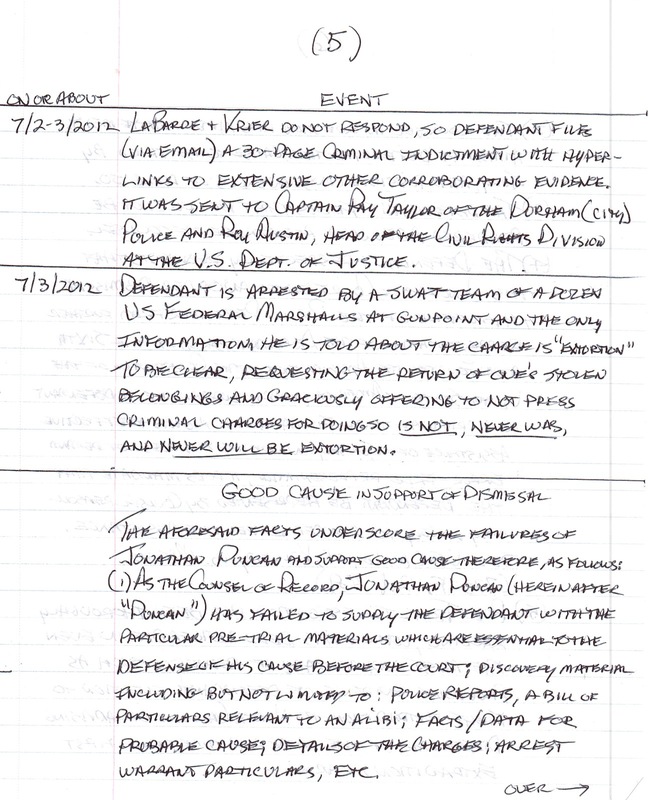 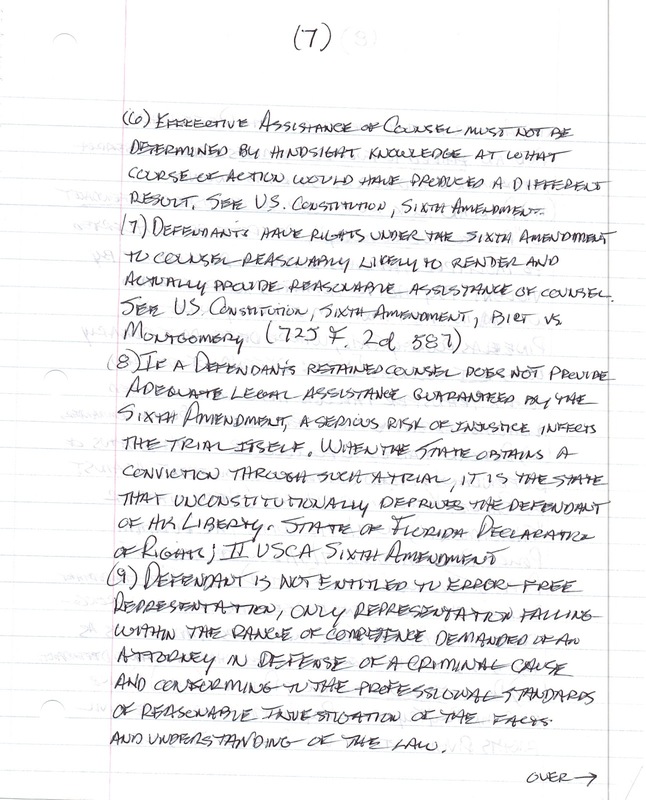 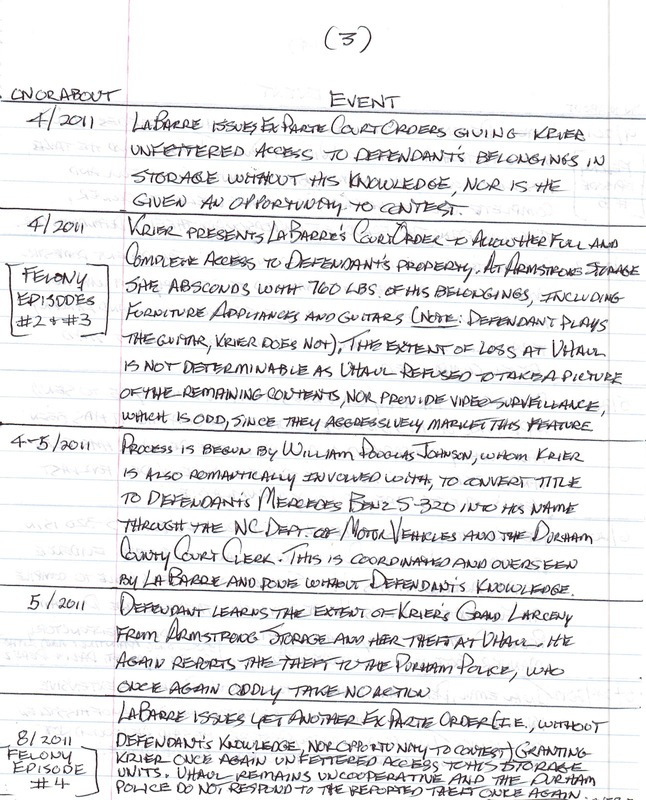 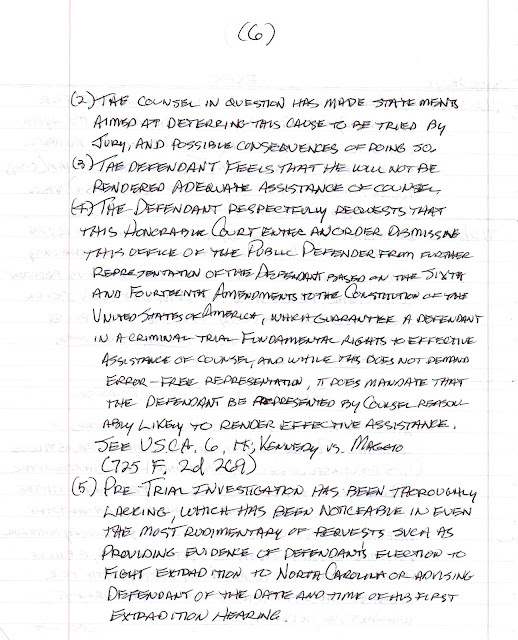 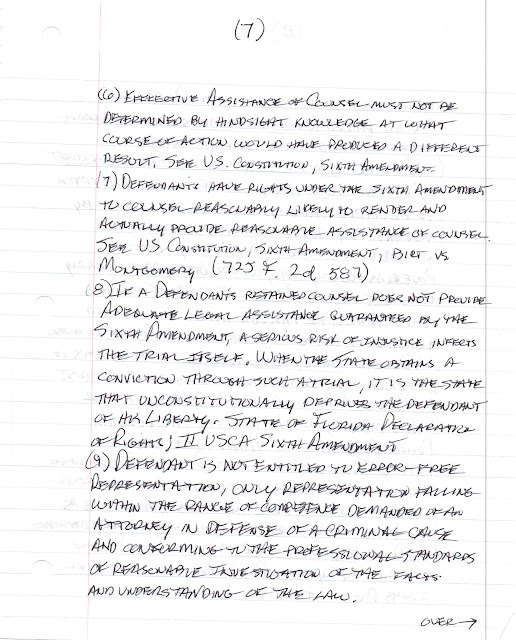 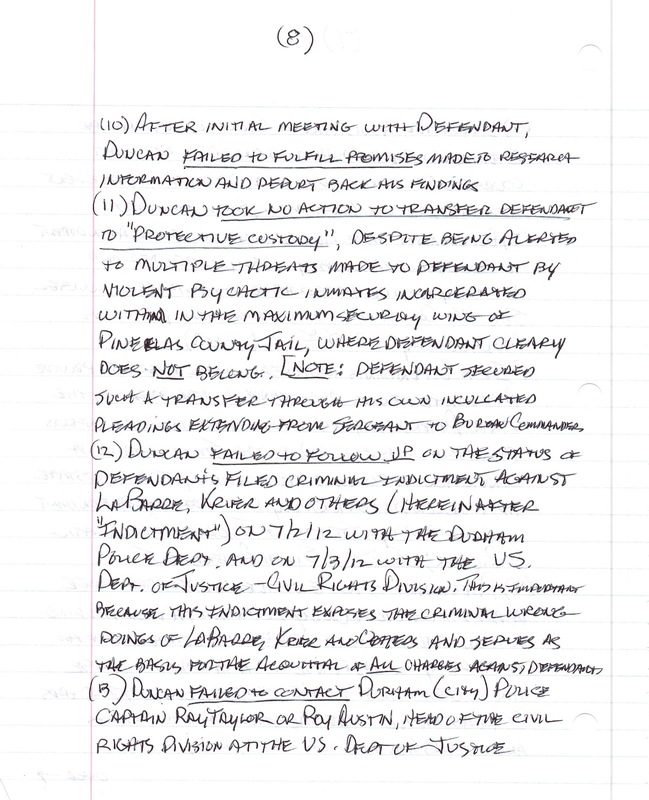 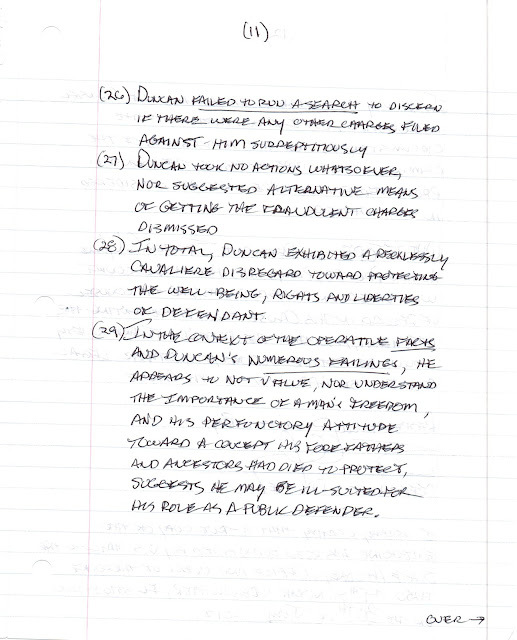 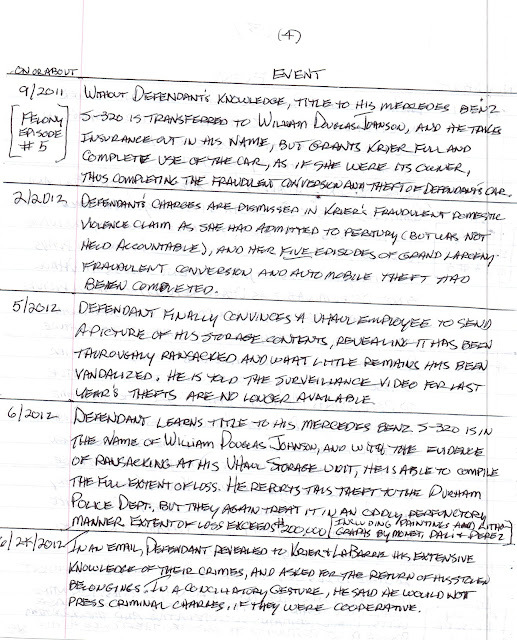 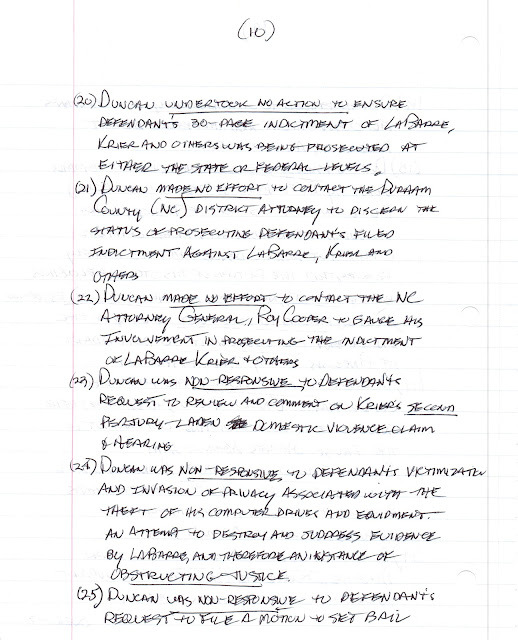 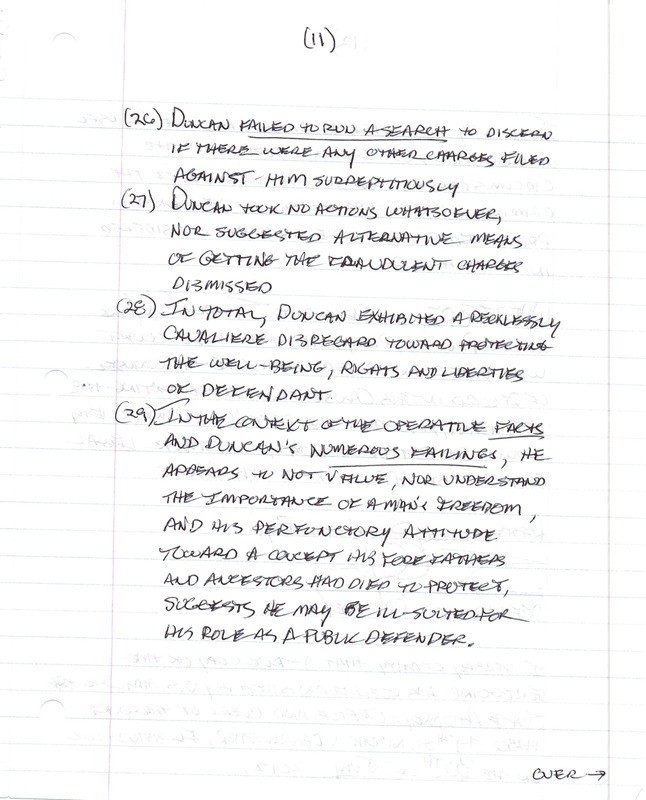 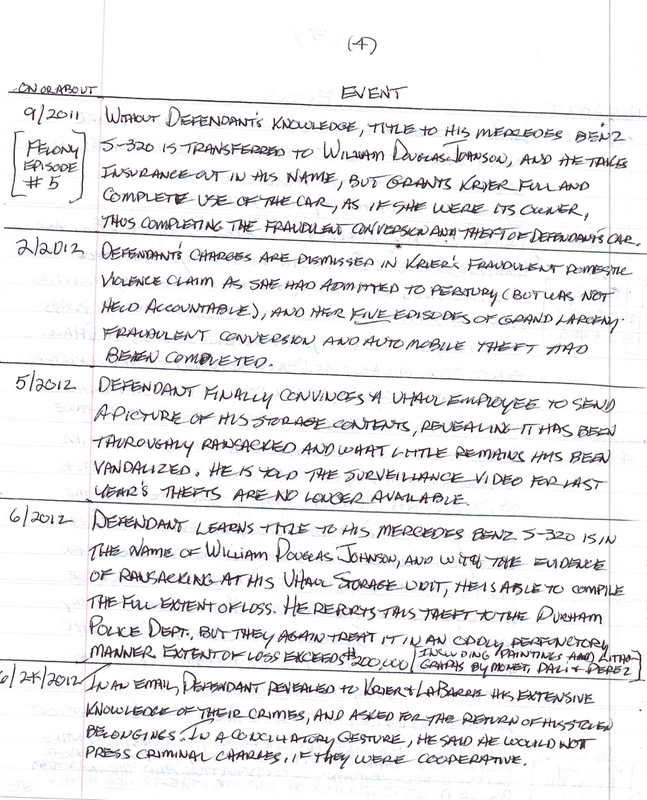 The motion to dismiss the demonstrably incompetent Pinellas County public defender assigned (Jonathan Duncan), was the ONLY motion granted throughout this nightmarish ordeal (due to the corruption-laden involvement of an exceptionally dangerous judge (Thomas McGrady) -- This motion is reproduced below and is handwritten because this was the only form of communication allowed Mr. Young during the insidious 127-day incarceration he was maliciously subjected to. 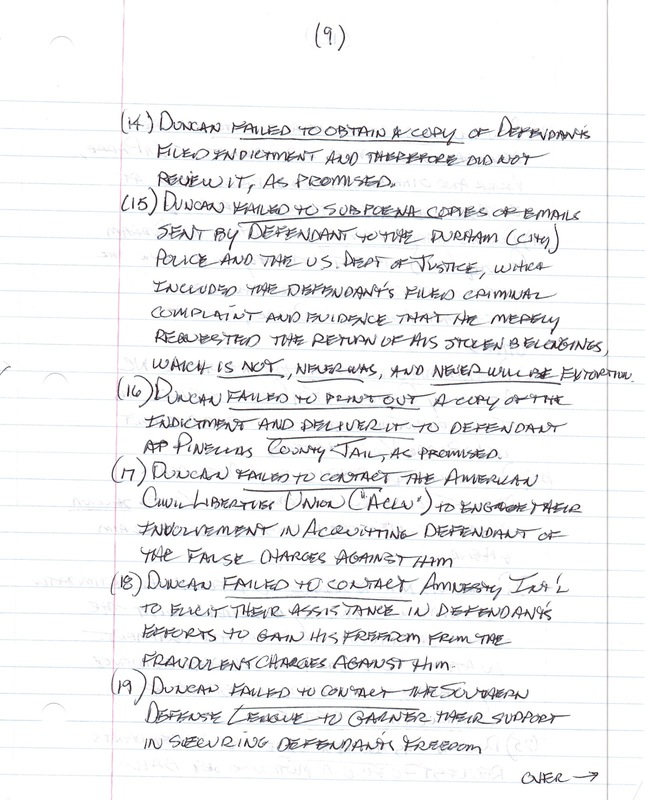 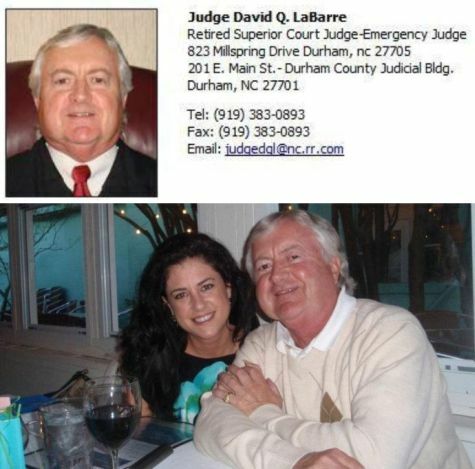 Eventually, it became clear Mr. Duncan was party to a malicious scheme to effectively "do nothing" so that Mr. Young's civil rights would be thoroughly trampled upon in this outrageous canard executed in Pinellas County Florida, the purpose of which was to facilitate an FRAUDULENT extradition to North Carolina on entirely fabricated charges intended to cover up the felonies of NC Judge David Q. LaBarre. 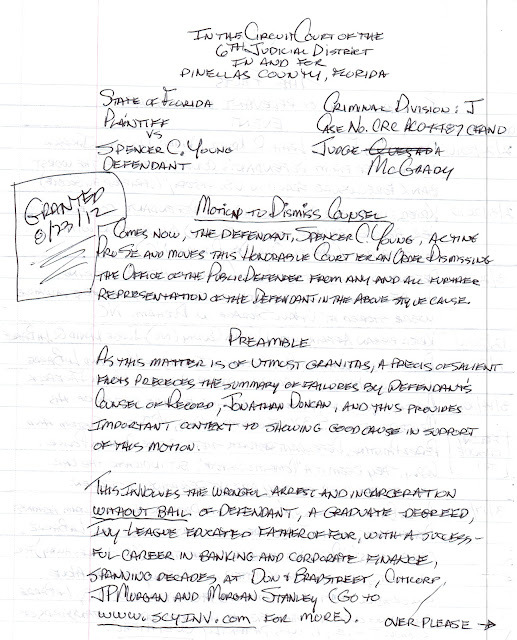 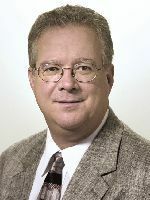 Moreover, it became clear Mr. Duncan was acting pursuant to the instructions of his superiors, most notably Pinellas County (FL) Chief Public Defender, Bob Dillinger and Mr. Duncan's immediate supervisor, Jane McNeill, who later played an key role in facilitating the fraudulent extradition. 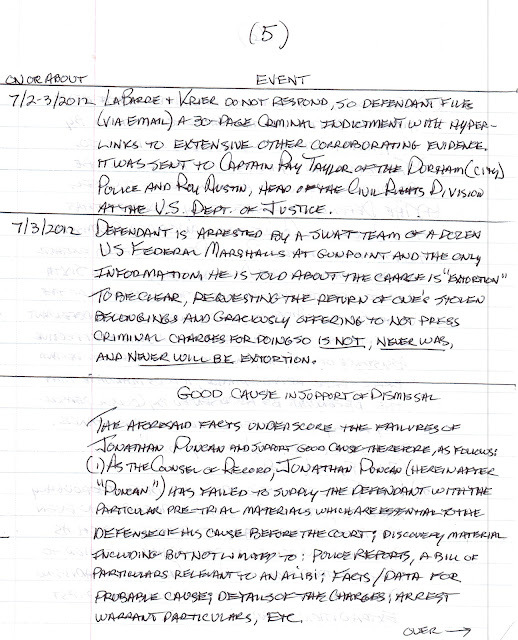 The chronology of events is rather damning to all involved in this insidious assault on American Civil Liberties. The below motion was granted on 08/23/12.